TriTech Industries is an American company that has over 50 years of experience specialising in the design, manufacture and assembly of high pressure airless paint spraying equipment. 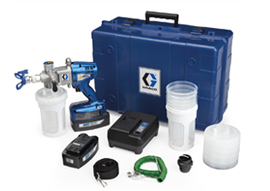 TriTech couples their experience with their precision manufacturing to produce airless spray equipment that will work for you every day, year in and year out. 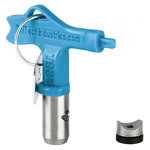 At Spray Direct we offer a range of TriTech spray tips. The correct combination of paint spraying gun and tip are vital to getting the best finish. 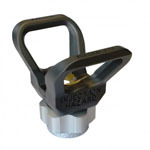 TriTech uses the highest quality raw materials to carefully craft and form a precision tip that is capable of withstanding the most demanding rigours of site use. If you are airless paint spraying and you are looking for the best results this is the range you need. 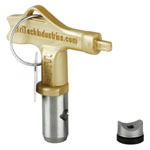 Not sure which TriTech tip to use on your spray gun? Contact our highly qualified team online or call us directly on 0345 873 0263 for any questions or queries you may have. TriTech T93R Contractor Pro Guard, 11/16"
TriTech T93R Contractor Pro Guard, 7/8"